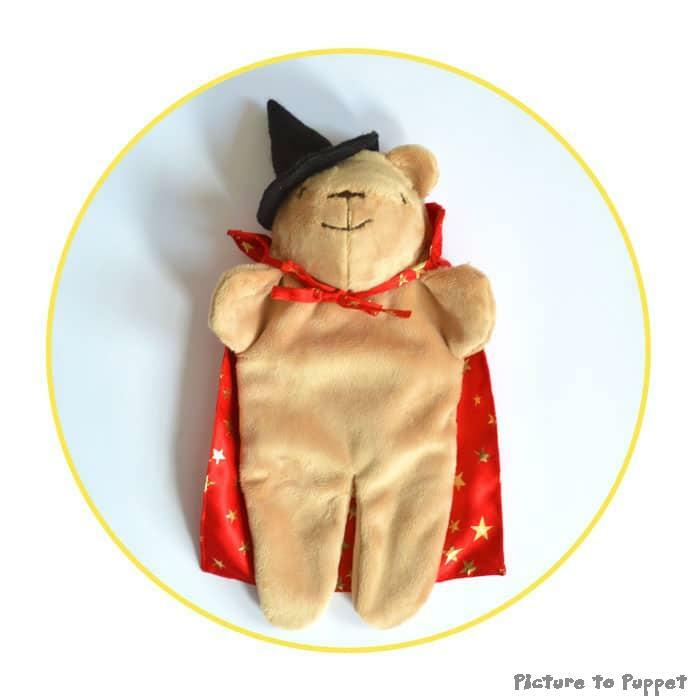 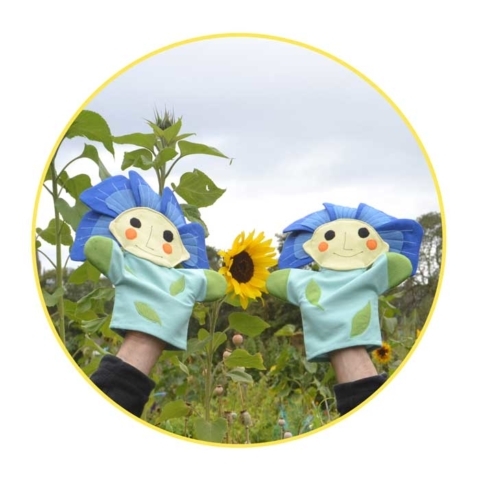 Our handmade glove puppets are a popular choice as they are very easy to use, even for toddlers. They are our most affordable option. 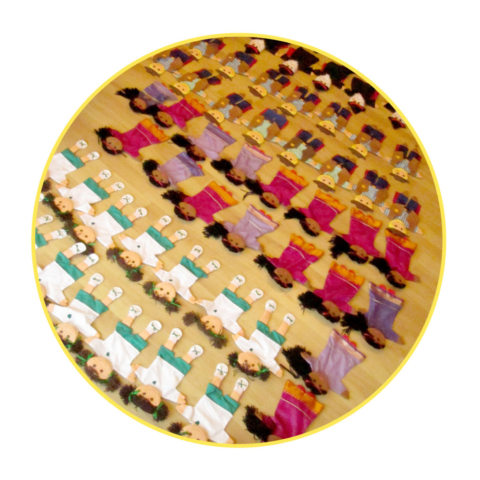 We can make them individually and wholesale, in quantities ranging from 1-100. They are all handmade in our Edinburgh workshop. 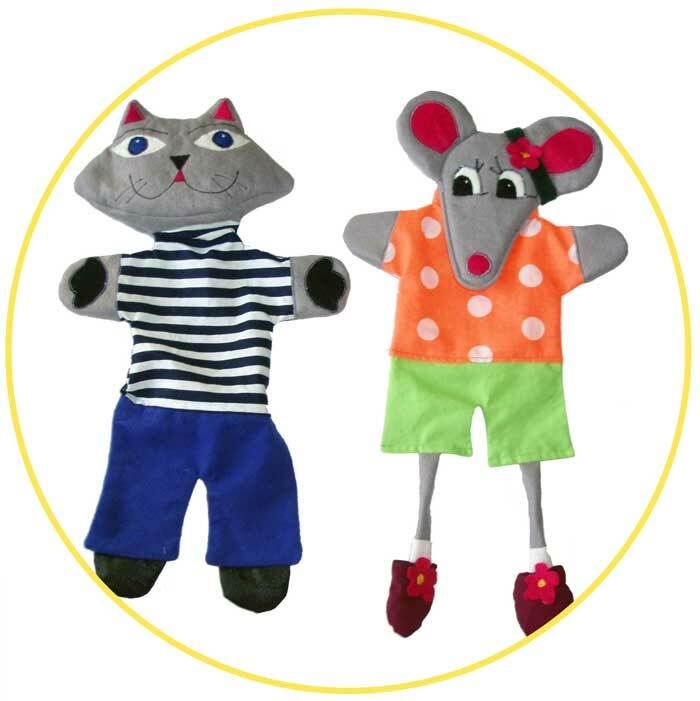 are our most affordable option. 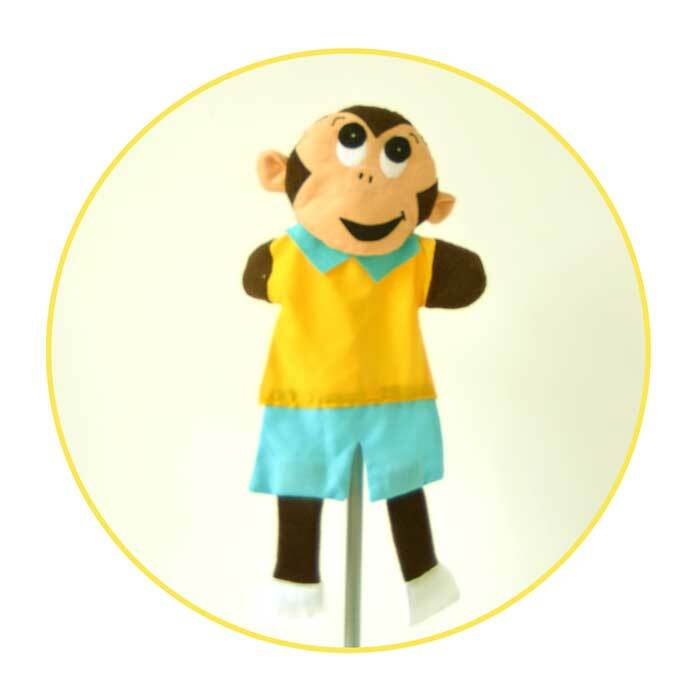 Our glove puppets have a basic glove shape, and a head and arms which can be easily operated using your fingers. If you’re looking for a moving mouth, see our hand puppets. 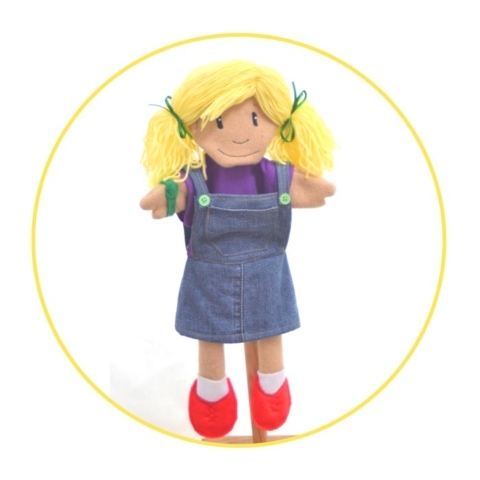 Even though our personalised glove puppets are small (they are about 35cm tall), they can be very detailed, and I put a lot of effort in to make them as close to your design as possible. 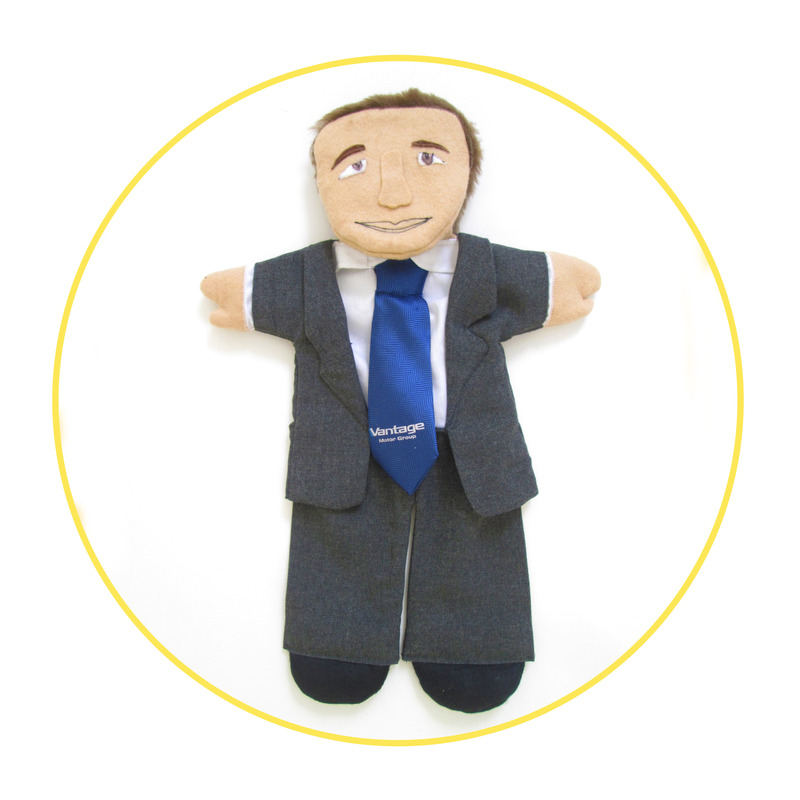 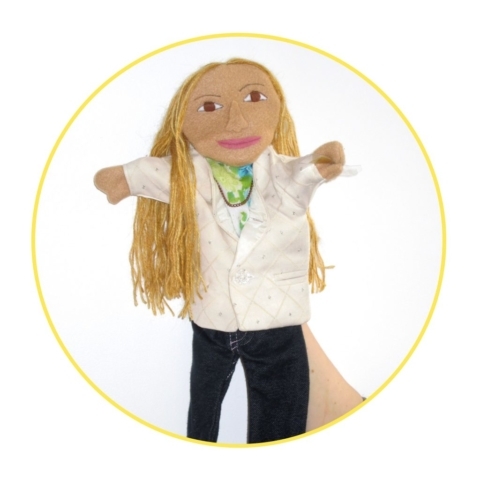 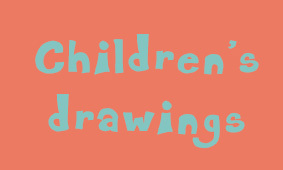 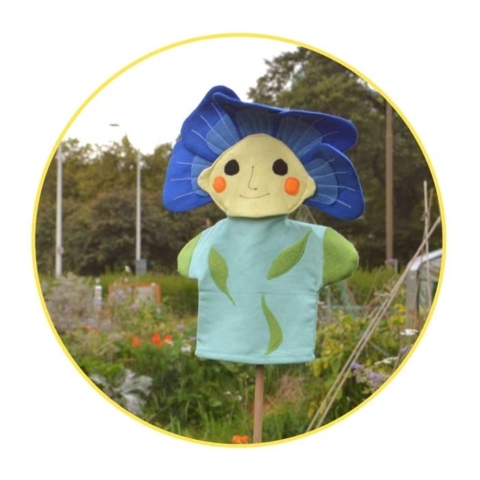 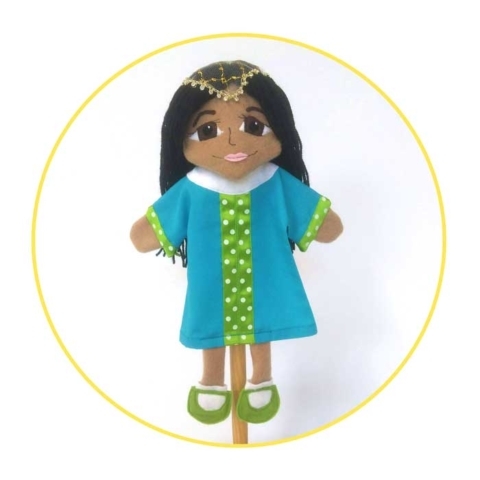 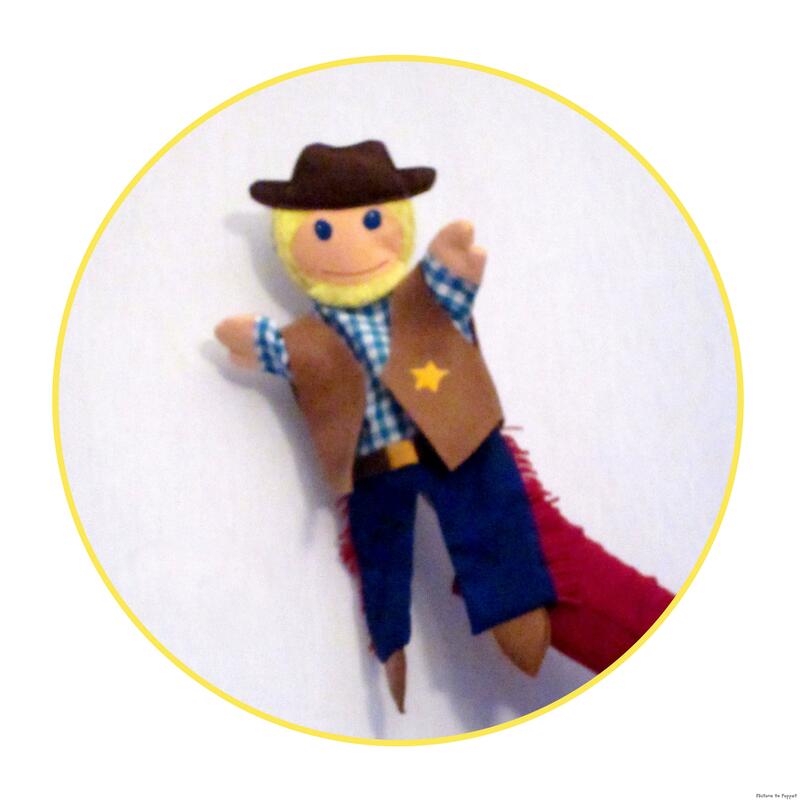 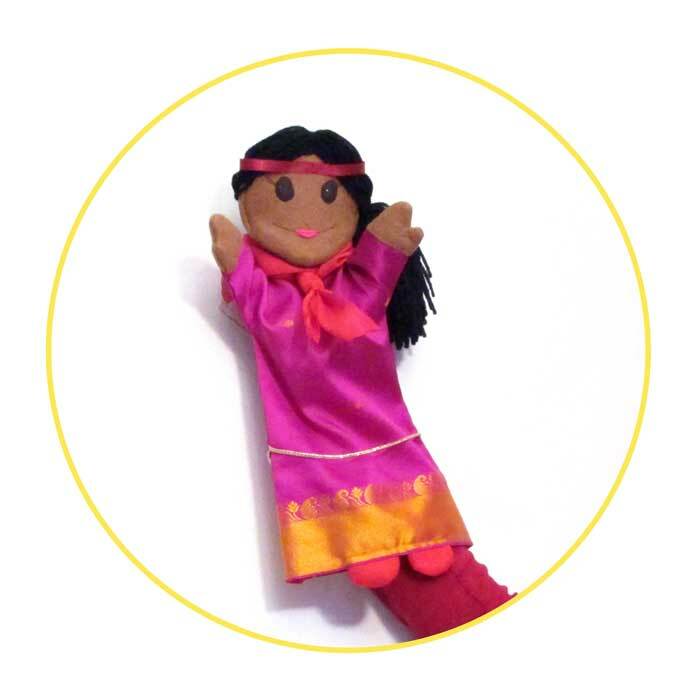 We can make them as likenesses based on a photo of someone, bespoke glove puppets from children’s drawings, and, most often, puppets for schools and education resource companies based on characters they use in their schemes of work. 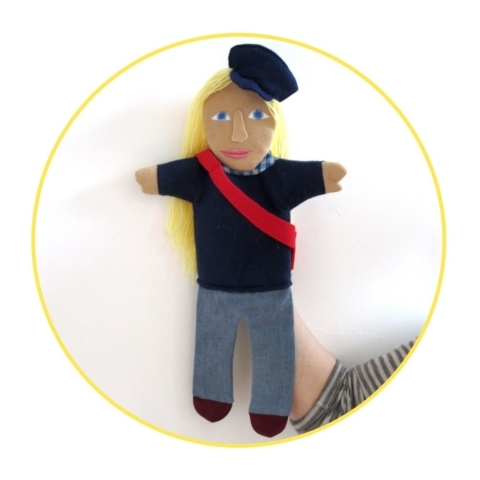 If you’ve got an idea for a glove puppet, contact us or come and visit us in our Constitution Street Toy Workshop. 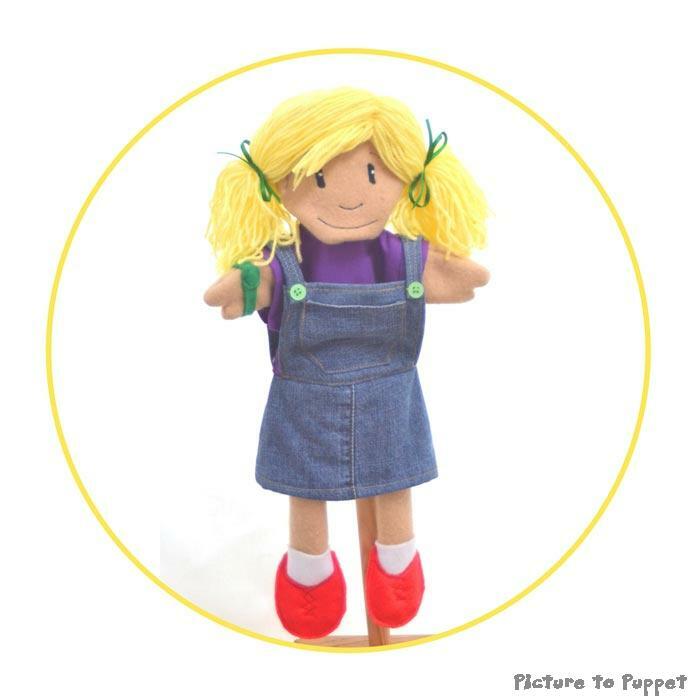 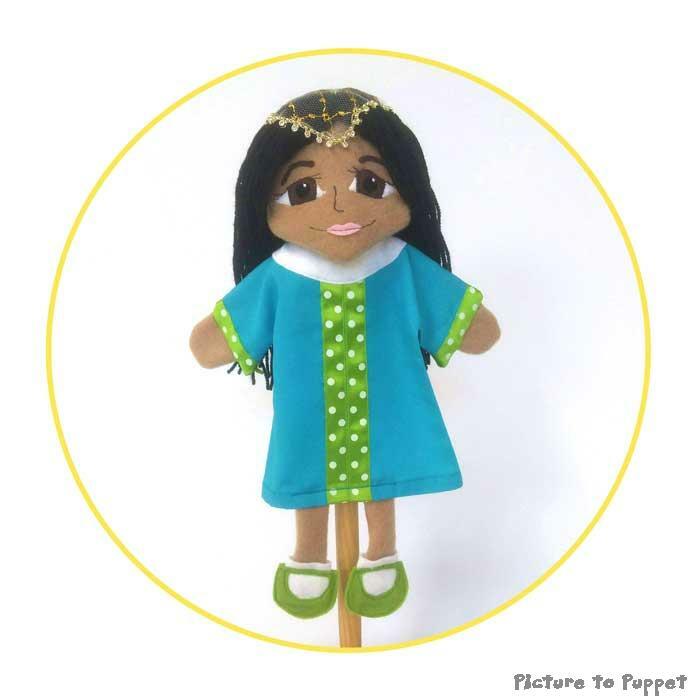 And don’t forget to see some other types of puppets and toys by Picture to Puppet!